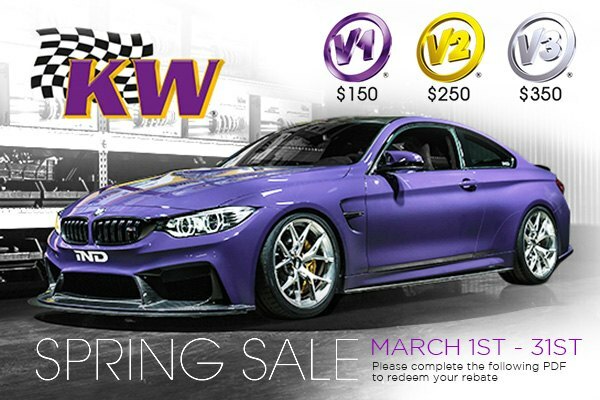 Audi Forums > Vendors > CARiD.com > Spring Sale on Coilover Kits by KW Suspensions at CARiD! Stock suspension systems are perfect for regular driving conditions, as they provide just enough responsiveness with comfort and softness. Yet, for spirited driving, it may be not good enough. KW coilovers is a perfect way to improve handling and lower the ride height of your Audi. Coilovers are a combination of lowering springs and specially tuned shortened adjustable shock absorbers. As a result, you'll get the best balance between sporty driving and comfort.